iPads are the new no. 2 pencil, heading out in droves to teach everyone from kindergarteners to college students what’s what. (Minor drawbacks compared to the pencil: you can’t chew on the magical device and need more skill to launch it at fellow pupils). Cult of Mac wanted to know how those iPads get into schools – which ones want them, how they get paid for, what schools are doing with them – so we caught up with Brayden Wardrop. Wardrop is a CTO for Utah-based company called iSchool (yeah, iKnow! ), currently getting those tablet computers to schools in Texas, Colorado, Utah, Minesota and Nevada. Legacy School in Colorado. @Brayden Wardrop, iSchool. Cult of Mac: Tell us about your iSchool project at Legacy Academy. Brayden Wardrop: iSchool is deploying 500 iPad 2s for the entire school. 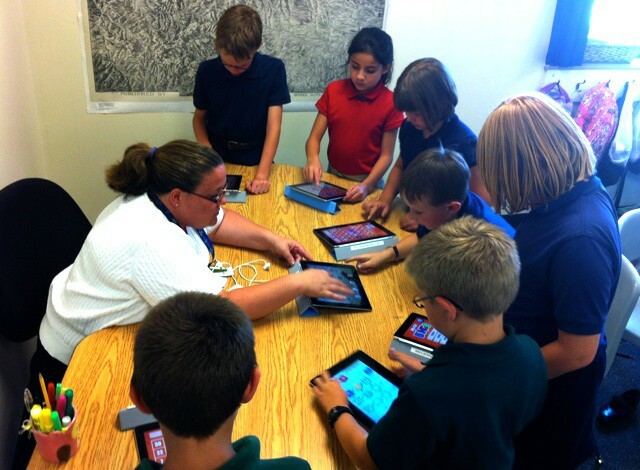 “One to one” is Apple’s little catch phrase in the education world referring to every student having their own device. 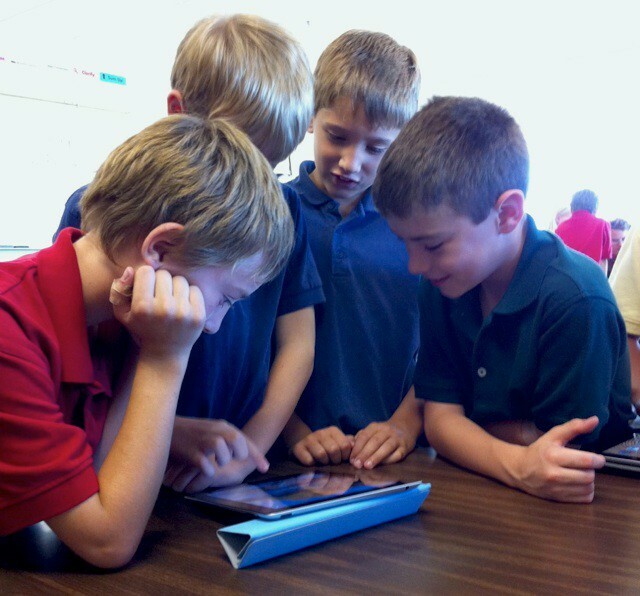 In our case, that device is an iPad 2 for every student in the school grades K-8. We register for Apple’s volume app purchasing agreement and we use three or four MacBook Pros and Bretford Syncing carts to make iPad images with apps that pertain to each grade level. CoM: In general, what schools are iPads going into? BW: iSchool works primarily with charter schools, some public, others private. The incentive for a charter school to become an iSchool is to increase enrollment and thereby increase their revenue per pupil. It is also a fantastic educational tool that has proven to increase performance, test scores and overall comprehension of education materials across the board. CoM: Where’s the funding coming from? BW: The funding is set up through iSchool. Our CEO has an extensive background in finance and has the necessary connections to obtain financing for a school that wants to convert to an iSchool. It costs roughly $1 million dollars for a charter to do a total technology overhaul which not only includes several hundred thousand dollars worth of Apple equipment (the iPads, an iMac computer lab, MacBook Pros for the staff, a Mac Pro server), but also includes surveillance/security, new phones and a completely revamped network and custom built file sharing system. CoM: What are they using the iPads for? BW: The iPads are used in a variety of different ways. 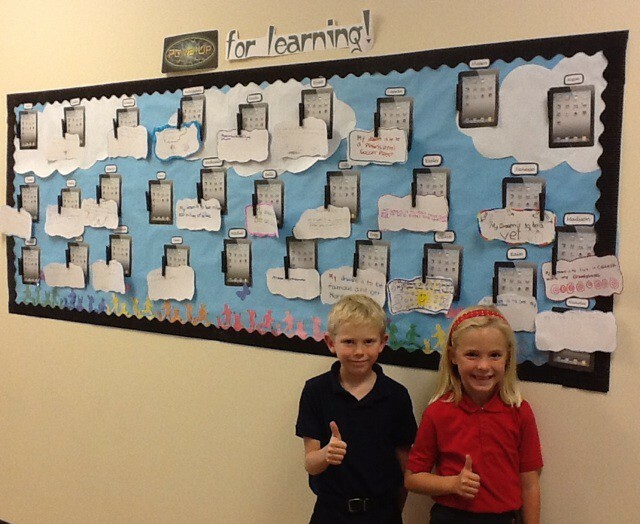 We integrate iBooks in our school library so that each grade level has the same books on their individual iPads. We have teachers using apps like math bingo and Math Ninja for math, Solar Walk and Elements for science and hundreds and hundreds of other educational apps that are used depending on the grade level. We have students create videos and podcasts, we use an interactive smartboard software called Doceri that allows each student to manipulate content that the teacher projects on a screen right from their own iPad. We also use Safari and incorporate many educational websites that allow for testing, reading and progress tracking. CoM: What are the main challenges? Any problems with naysayers? BW: There are definitely challenges especially in the area that you referred to about naysayers. Not everyone agrees with this new technology and many times the schools have to purge themselves of staff that are not willing to adapt and incorporate the technology. Parents are also concerned that their child will not be taught the basics that they were taught in school. iSchool has been able to successfully incorporate core philosophies (such as core knowledge) with the new technology. And for the most part, everyone embraces the transition. We are extremely careful with what we allow children to access and thanks to Apple and their brilliant software, I can manage all 500 devices by myself. I am able to control what content is viewed, what apps are accessible and how much time an iPad can be used online.